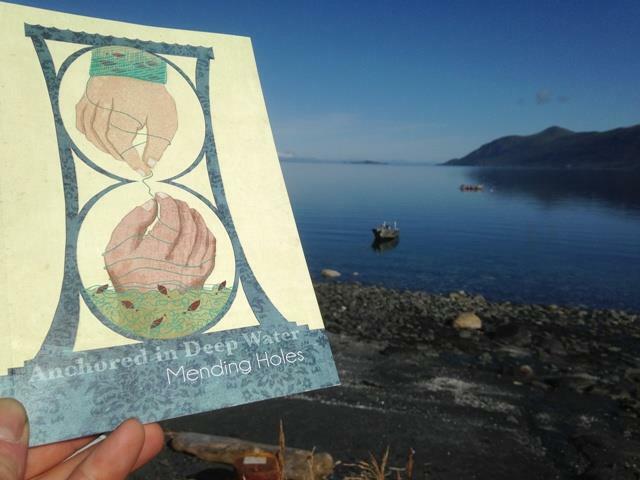 "Just got my copy of Anchored in Deep Water with the mail from the tender. It looks great! The first piece I read this morning was Mary Jacobs' "Uganik," in the "Family Dynamic," book. We were just down in Mush Bay last week, and skiffed by the house where the story took place in 1976, And Balika, the woman who was the baby born in that story, visited us here this summer with her own daughter, Bella, who is 8. Thank you Pat Dixon and Chelsea Stephen for your inspiration and hard work!"